On whether students from Nepal would be able to appear in the exams without Aadhaar, Uttar Pradesh Deputy Chief Minister Sharma said, "If any such incident comes before the government, then we will hold a meeting in the department and take a decision as per the provisions of our laws." Lucknow: Nearly 1,000 Nepali students enrolled in madrasas in Uttar Pradesh might not be able to take the Uttar Pradesh Madrasa Education Board (UPMEB) exams due to lack of Aadhaar cards, which is mandatory for the test, a madrasa teachers' body said today. The situation also prompted the Madarise Arbia Teachers Association to write to the Madrasa Shiksha Board in this regard. "Forms of madrasa examinations are being filled. 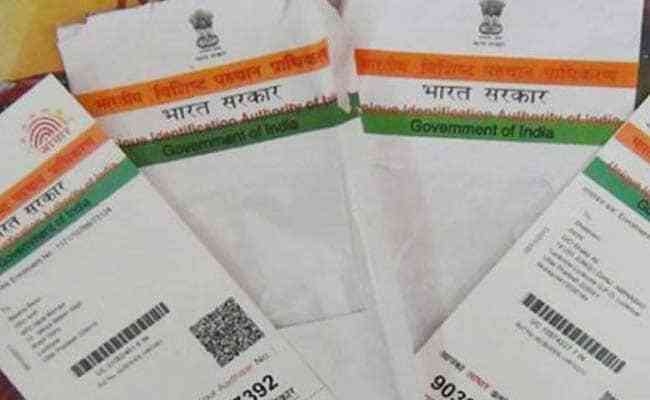 If the mandatory provision of providing the Aadhaar number is not withdrawn, then nearly 1,000 students hailing from Nepal will not be able to take the exam for munshi, maulvi, aalim, kaamil and faazil," General Secretary, Madarise Arbia Teachers Association, Diwan Sahab Jaman Khan told news agency Press Trust of India. Nepalese citizens get birth and citizenship certificates, and based on one of these documents, they are given admissions to madrasas in India, he said. "The last date to fill the examination form is February 10, and without furnishing Aadhaar details, the examination forms will not be accepted," Mr Khan said. Deputy Chief Minister Dinesh Sharma told PTI, "We are yet to get any such case. If any such case comes to us, then we will think over it and arrive at a decision as per the provisions of the law." On whether students from Nepal would be able to appear in the exams without Aadhaar, Mr Sharma said, "If any such incident comes before the government, then we will hold a meeting in the department and take a decision as per the provisions of our laws." Registrar, UPMEB, Rahul Gupta said that the government has been apprised about the matter and he was awaiting directives.